Here's a method for storing vintage bottle brush trees so that they don't get flattened. Wondering how to keep bottle brush trees from year to year without damaging them? 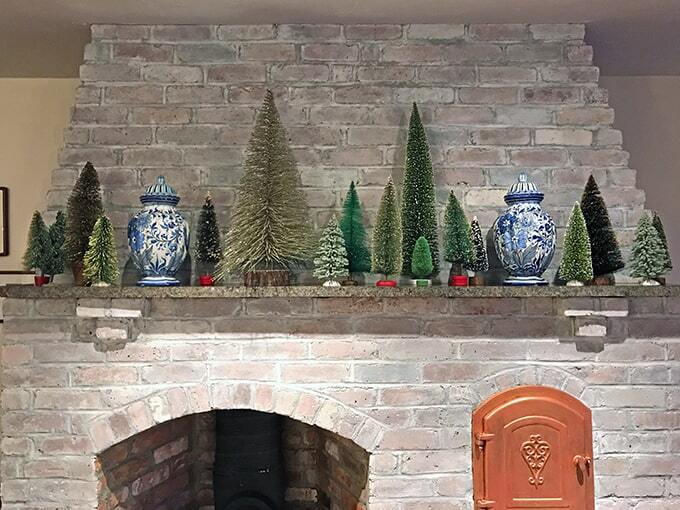 I have a collected these trees over the years in a variety of sizes. Some are from the 1950’s and others are fairly new. The vintage bottle brush trees are very fine and delicate – if they were stored laying down or pressed against another object they would flatten and their shape would be ruined. So I store them in a tall box and protect them by setting the largest in black plastic florist buckets and the smaller ones inside recycled oatmeal containers. 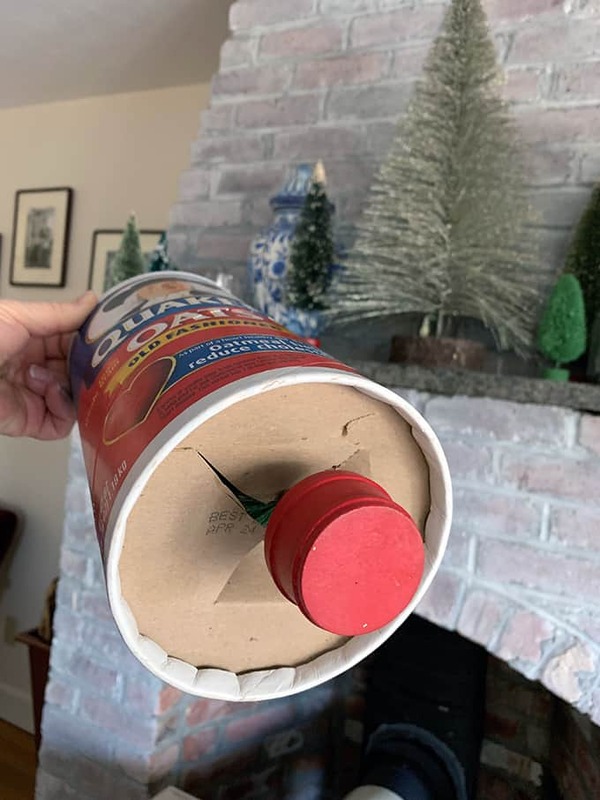 Make two slits in the bottom of an empty large oatmeal box, so that they cross each other in the center. Put the tree in through the open top, and reach your fingers through these slits to grab the base and pull it through the bottom as shown here. Because the base is being held in the center, the tree can’t tip to lean against the sides. 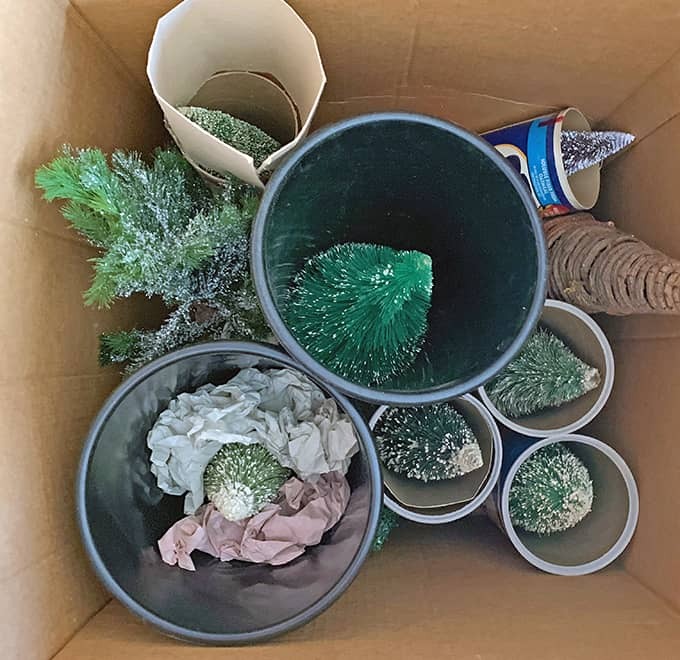 Place the boxed trees or trees put in plastic florist buckets into a tall box. Don’t put anything else on the top so there is no danger of something smashing onto the tip of any of these trees. 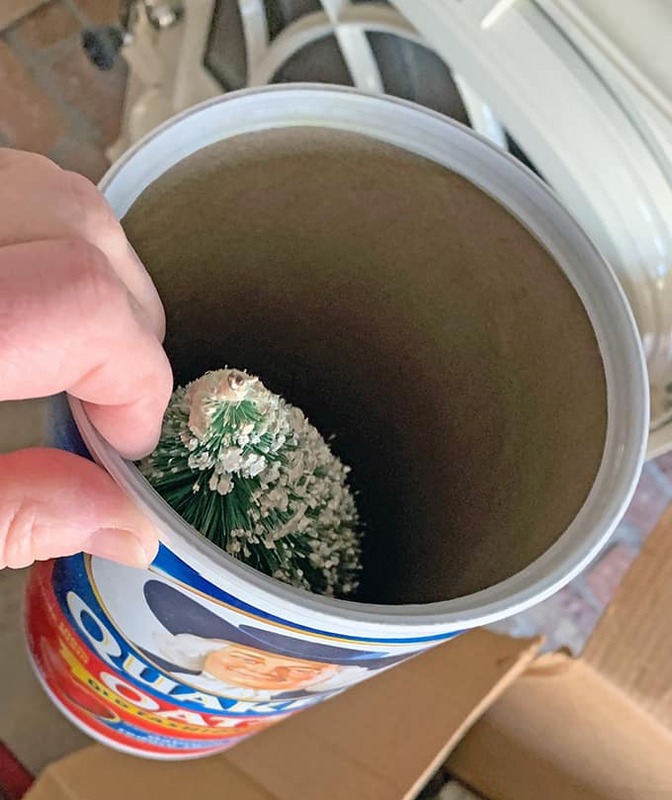 Newer, firmer bottle brush trees can be held in place with some light crumpled tissue, as long as you don’t pack that lightweight paper down against the tree. Before you pack the trees up, shake them gently or dust them off with a feather duster.